View More In Dock Lines & Rope. 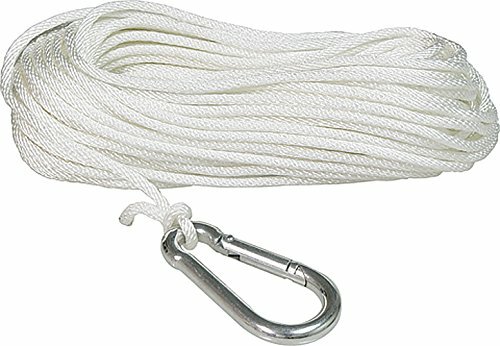 This 3/16" Solid Braid Nylon Anchor Line is designed primarily for boats under 16' in protected waters. Plated steel snap-hook with large 3/4" mouth to accommodate any anchor design. Not for overnight use. Packed in poly bags for easy display. If you have any questions about this product by SeaSense, contact us by completing and submitting the form below. If you are looking for a specif part number, please include it with your message.